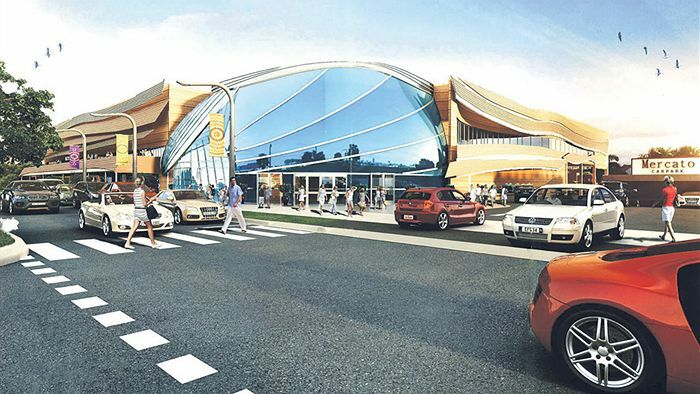 A two-storey indoor shopping mall could be built in Byron Bay’s Jonson Street, making it one of the largest developments in the town’s history. 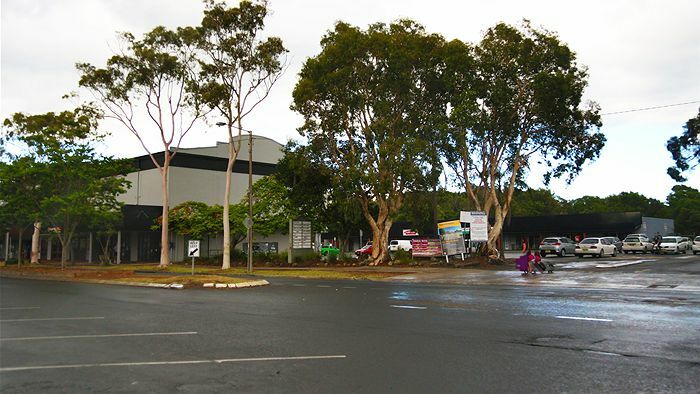 This is what Gold Coast developer Global Centres Australia Pty Ltd has planned for Byron Bay’s town centre. “A tidy up on this end of town is well overdue, there’s been way too many empty shops, it’s going to bring more foot traffic and certainly tidy the parking up,” he says. Yet some locals and travellers say it doesn’t fit in with the feel of Byron Bay. “We came here with the expectation of seeing hippies and beaches and [a] more relaxed [environment], and it looks really like city life,” German traveller Pia says. “It does look incredibly ugly,” John from Suffolk Park says. Byron Mayor Simon Richardson says while he believes a redevelopment is needed, he’s not impressed with the proposed design. “Clearly we need a shopping centre upgrade in that area but we need one which is more sympathetic and reflective of Byron,” he says. Proposals for a Dan Murphy’s store and KFC outlet on Jonson Street have both been knocked back in the past two years. “I guess that will all come out when, or if, it develops further and there’s only so much council can do about that. Byron Bay mayor Simon Richardson chats with Jonathan Green about the challenges of maintaining a balance between development and community in his coastal NSW town. He explains how this ‘community of black sheep’ has been able to withstand Schoolies Week, McDonald’s and Dan Murphy’s. It’s about an hour or so below the border [of Queensland and NSW]. We’ve got some of the most amazing beaches, which have drawn people for decades, and we’ve also got a wonderful hinterland where there are waterfalls and beautiful cafes and galleries. It’s a place that attracts people for its beauty, but importantly it also attracts people for the integrity of the community and the type of communities that live here. The ocean is just exquisite at the moment. In fact, the rocks just off our coast are one of the best scuba diving areas in Australia as well, so it really is a Mecca for anyone who is interested in beautiful beaches and beautiful oceans. We occasionally get blue bottles when the current is going a certain way, but it’s never a particular issue, it lasts a couple of days and then everybody gets back into the water. Is there a certain consciousness specific to your part of the world? Absolutely, I guess we’ve had it pretty much since the ’70s and early ’80s. We’ve just had people who wanted to live a life where the community was perhaps number one, the economy came number two, and the economy worked for the people rather than the people for the economy. In a sense we’ve always had a real ethos and culture of trying to live in a way where we’re not bombarded with the same commercial pressures that others have. We’re all perhaps potentially able and willing to earn a little bit less so that as a community we can have a whole lot more, and as a result we are a point of difference [compared to] most other coastal places around the country. The town has been successful in keeping many major chain stores like McDonald’s and Dan Murphy’s out—how have you managed that? We’re not perfect, and we’re certainly no nirvana, but I guess one point of difference is that we keep trying. The vast majority of our community don’t want some of the really famous chain stores. For us it’s about supporting locals, it’s about being that place of difference, so when visitors come they can actually feel that they are in a different community and they interact and enjoy that and we know by surveys that that’s what visitors love about us. How do you balance Byron’s dependence on tourism with its sense of community? That’s my challenge, and a challenge for other community leaders up here, to get that balance right. It’s not a question of just saying no constantly, it’s about saying no to inappropriate development, but yes to innovative, sustainable, world-class development. We do want to be a place where we can help set the scene of what’s possible, and by doing that we need to have faith in a lot of our community that they will bring the right type of development for us, and so I think that certainly over the last few years we’ve begun to change that ethos again within Byron. We are a community that will welcome innovative, sustainable, best practice development with open arms, but we still maintain that right to resist development which is there more to exploit us rather than to add to us. How does the community deal with Schoolies Week? Schoolies is a bit of a vexed issue. On the one hand they can run a bit amok in some of the suburban areas where they stay in holiday letting situations, but on the flipside they are actually a group of wonderful 18-year-olds. As a collective group they’re generally pretty good, they’re also really appreciative of Byron and what we as a community do for them. Quite often they come and get married here, or live here or come and visit with probably a little bit more money in their pocket over the following years. We have a responsibility to make sure that we still keep ourselves open for visitors to have those same experiences that we’ve had but, but just try and balance it so it so it’s done in a way that doesn’t affect the community who live here. Someone once said that Byron’s a place where every family’s black sheep has come to congregate, and we’re a community of black sheep. I actually see that as a real positive because what it means is that it’s filled with people who think for themselves and are prepared to take a different slant of what life offers and collectively therefore we’re an interesting, exciting, creative community.